Gustav Tegby is a screenwriter and playwright with a fondness for everything that’s weird, supernatural and noir-ish. He has written about twenty plays, several with horror themes, that have been performed in Sweden, Finland and the US Ghosts & Zombies (Gengångare & Zombies), his horror adaptation of Henric Ibsen’s classic Ghosts, was originally performed at Malmö City Theatre in 2011, directed by Rikard Lekander and starring acclaimed actress Ann Petrén in the principal part of Mrs Alving. The adaptation has since been produced twice in the US. His play Everybody Loves Bernie Madoff (Alla älskar Bernie Madoff ) has been produced three times and was also televised. Gustav was one of the writers of the hit radio thriller mockumentary Voices of the Dead (De dödas röster), and one of the creators and writers of the 2017 radio Christmas series A Winter Nightmare (Marvinter). 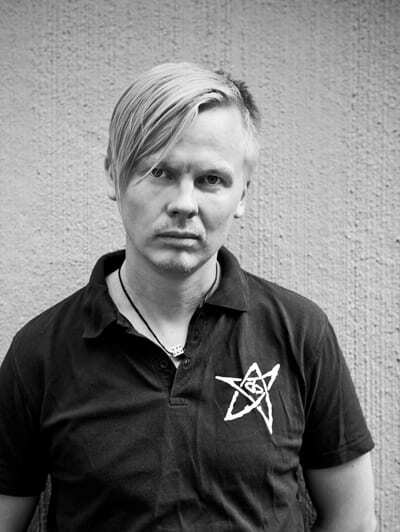 Gustav is born and raised in Umeå in northern Sweden. He has worked for ten years as a dramaturg at Riksteatern (The Swedish National Touring Theatre). 2017 – Freak (Fulet). Teater 23. 2013 – Outbreak (Utbrott). Profilteatern. 2012 – Ghost & Zombies (Gengångare & Zombies). Malmö Stadsteater. 2012 – Be More Like a Steamroller (Vårens nyckelord är ångvält). Riksteatern. 2009 – Everybody Loves Bernie Madoff (Alla älskar Bernie Madoff). Dramalabbet.